$46.4 - A designer look we love, this new dress is part of the spring 2018 collection from Truly Me. The U neckline is formed by double straps. Her short sleeves are continued after the shoulder cutouts. A zipper closes the fit in the back. The skirt opens in shape from the waist, ready to twirl about her legs. 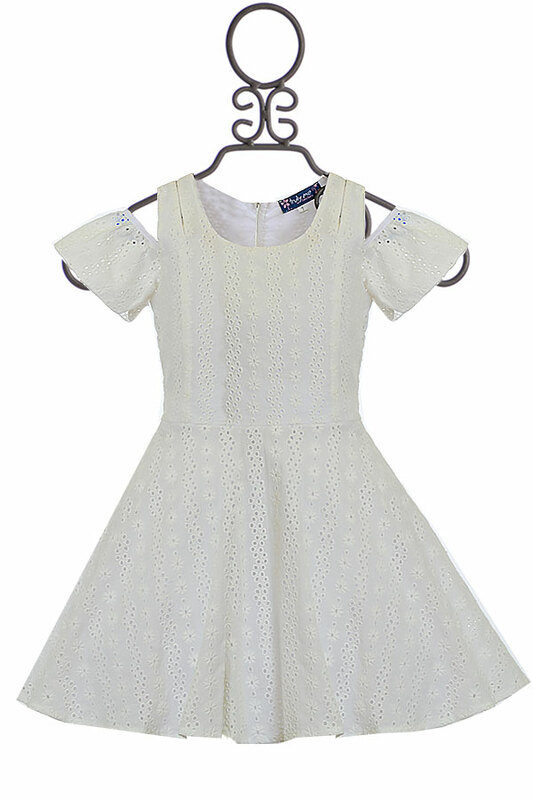 The white fabric is covered with eyelet flowers.